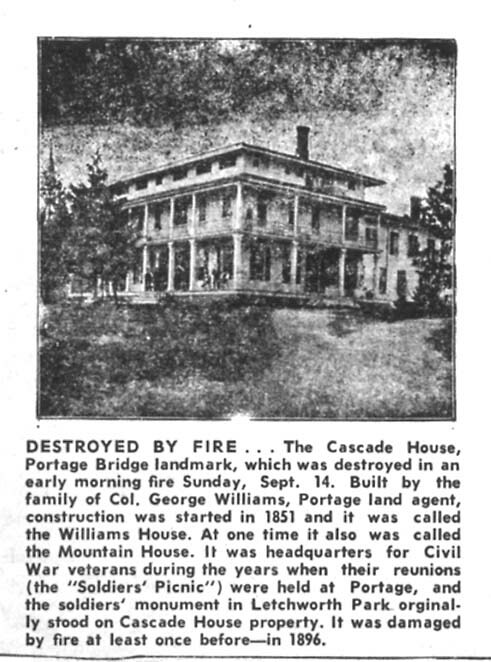 The famous Cascade House stood near the east end of the Portage Bridge for over a century. 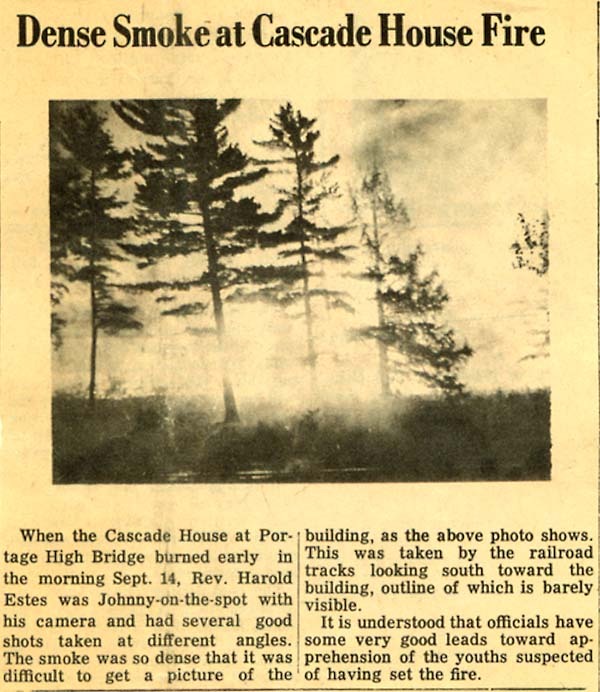 These newspaper articles from the Nunda News document the destruction of the local landmark by fire in 1969. Also see Image 56 in our historic photo album.